PW Resistance Welding Products, are a UK business supplying resistance spot and seam welding machinery for more than 60 years. 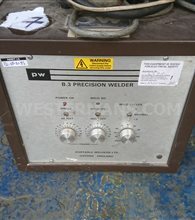 We buy and sell Used and Refurbished PW welding equipment which also went by the name for many years as Portable Welders. This well known and reliable brand includes suspended spot welders, precision welding systems, resistance seam welders and poke welders. PW Resistance Welding Products, based in Bicester, Oxfordshire have been in the resistance welding business for more than 60 years. 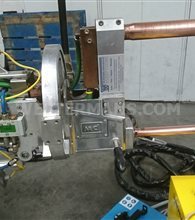 In this time has developed a broad knowledge and understanding of the industrial spot welding marketplace. Now with a factory in China, PW supply a range of precision welders, portable spot welding guns, poke welding guns, welding transformers, electrode tips and dressings. With a training and service department based in the UK you can find lots of information on the web site. Here are two common questions to consider when you have purchased PW Spot and Seam welding equipment. Can I spot weld aluminium? Why are my spot welds failing? 95% of the time it will be down to the diameter of electrode tip in contact with the material being welded. A new standard tip has a spot diameter of 5mm, which gives 19mm² of contact area . If the tip is not dressed and the contact diameter is allowed to increase to 7mm, visually not a big change, the contact area has doubled to 38mm², so you’ll have only half the heating effect.